As the jury delivered its guilty verdict against a neo-Nazi accused of murder for ramming his car into a group of counter-protesters at a white supremacist rally last year, Wednesday “Al” Bowie burst into tears of joy. 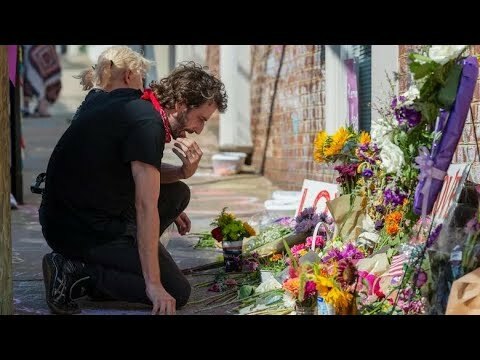 “I’m feeling the best I’ve felt in almost a year and a half,” said Bowie, 28, whose pelvis was shattered into six pieces when James Alex Fields Jr plowed his gray Dodge Challenger into the crowd protesting the “Unite the Right” rally in Charlottesville, Virginia on August 12, 2017. Despite her relief, she believes that the conviction of 21 year-old Fields represents a “baby step” in the long fight against bigotry — which has only grown under President Donald Trump. Fields was found guilty Friday of first-degree murder for killing Heather Heyer, a 32-year-old paralegal, in his vehicle rampage. He was also convicted of five counts of aggravated malicious wounding, three of malicious wounding, and one of hit-and-run. 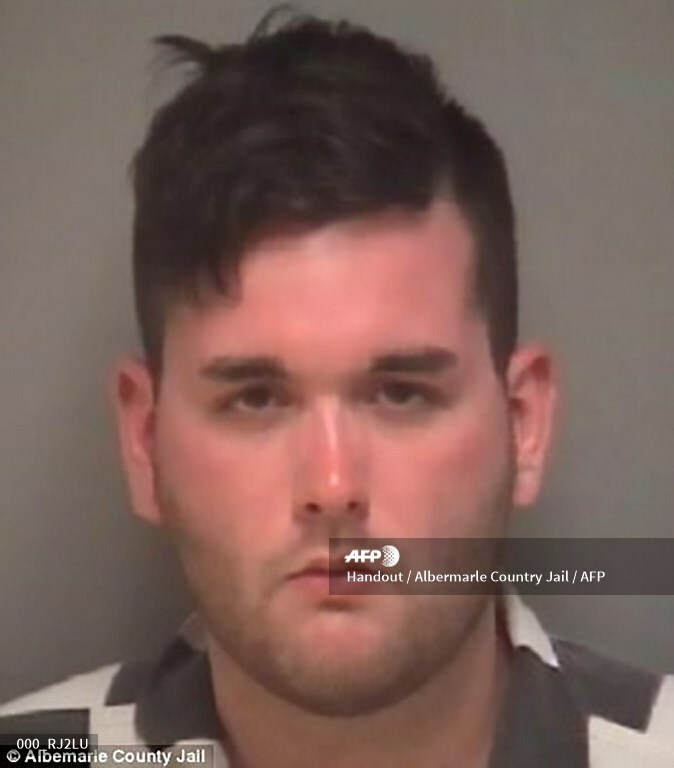 This police booking photograph obtained August 13, 2017 courtesy of the Albemarle County Jail shows suspect James Alex Fields, Jr., who allegedly plowed a car into a crowd when a white nationalist rally erupted into deadly violence on August 12, 2017 in Charlottesville, Virginia. The FBI and federal prosecutors have opened a civil rights investigation into the circumstances surrounding the incident that killed one woman and wounded 19 in Charlottesville, Virginia. Handout / © Albemarle County Jail. Bowie rushed to help people hit by Fields’ car — a decision that backfired when she was struck as the vehicle reversed. Her words echoed those of many activists in the bucolic college town, who believe that Fields’ assault was only a symptom of institutional racism rooted in the city’s history. The rally was called by alt-right supremo Richard Spencer to protest a planned removal of a statute of Robert E. Lee, the top general of the pro-slavery Confederacy in the 1861-65 Civil War. Anti-racism protesters from the city and elsewhere amassed to counter the far right, leading to confrontations that culminated in the car attack. The city council had voted to remove the 94-year-old statue, but its fate is now in the hands of a court after lawsuits were filed — including by the Sons of Confederate Veterans — to reverse the decision. Charlottesville, located 100 miles (160 kilometers) southwest of Washington, was home to two presidents including Thomas Jefferson, the principal author of the Declaration of Independence. The city, home to the prestigious University of Virginia, has a reputation as a wealthy, liberal enclave known for its historic architecture and boutique shopping. But that exterior belies the many race issues that Charlottesville still faces more than 150 years after the end of the Civil War and some 60 years after the civil rights movement. “Essentially Charlottesville developed out of several large plantations,” said Andrea Douglas, executive director of the Jefferson School African American Heritage Center. Notable among these plantations was Monticello, owned by Jefferson, himself a slave owner. Charlottesville’s black population — which has fallen to 19 percent of the city’s 46,000– have been largely left out of the city’s success due to years of exclusionary policies linked to education, housing and employment, Douglas said. These include the demolition in the early 1960s of Vinegar Hill, a historically black neighborhood. This effectively wiped out a generation of black wealth in a downtown area now known for sky-high commercial properties. For Tanesha Hudson, 39, the presence of Confederate statues in her hometown is an ever present reminder of that racist legacy. “It’s a level of disrespect to any person of color whose ancestors picked cotton, or were slaves. Or were hung, or killed or raped,” she said. Fighting broke out during the August 2017 “Unite the Right” rally in Charlottesville between neo-Nazi supporters and counterprotesters, including anti-fascists from the Antifa group. The events of August 2017 inspired many residents — including 34-year-old social worker Matthew Christensen — to step up their anti-racism activism and get more involved in city politics. Last month Christensen started an online petition urging the removal of another Confederate statue, this one in front of a downtown courthouse that falls under the jurisdiction of the Albemarle County, which surrounds Charlottesville. The 2017 unrest “was a catalyst for a lot of people,” said Molly Conger, a 29-year-old blogger. Conger started covering the city’s affairs following the attack, and live-tweeted the Fields trial. Conger has faced threats for her newfound activism: at a separate trial of a white supremacist the suspect yelled out her address on the steps of the courthouse. A composite photo of her decapitated head and of her two dogs’ heads on sticks was posted online, as well as pictures of her sister and the hospital where her mother works. Like Bowie, Jeanne “Star” Peterson, a pink-haired woman in her late 30s, survived Fields’ attack with extensive injuries, including a right leg held together by a metal plate. “James Fields is just the tip of the iceberg,” she told AFP, saying removing the statues remains a priority. Featured Photo: AFP/File / Logan Cyrus On the first anniversary of the death of Heather Heyer, her mother Susan Bro layed flowers at the spot of her daughter’s killing in Charlottesville in memory of the Virginia state troopers who died during the unrest.